In this time of rapid global climate change, research has focused on finding sustainable energy sources. Current technologies like wind and solar can generate power in an ecofriendly manner; however, generation of this energy can be intermittent at times. To offset this, power storage devices can make power accessible on demand. The preferred energy storage device is the lithium-ion battery found in portable electronics and electric cars, but another type of energy storage can be in the form of a supercapacitor. Batteries store their energy electrochemically. In lithium batteries, the lithium ions are suspended in a slurry between the positive and negative poles. As the ions undergo chemical reactions known as redox reactions between the poles, electrons flow through a closed circuit generating power. By reversing the chemical reactions, the battery can be recharged. The charging and discharging of a battery is slow compared to capacitors, but batteries can hold more power than capacitors. In a capacitor, a charge is built up and held within an electric field, no chemical reaction is required. When a load is applied to the capacitor, it discharges into the system. 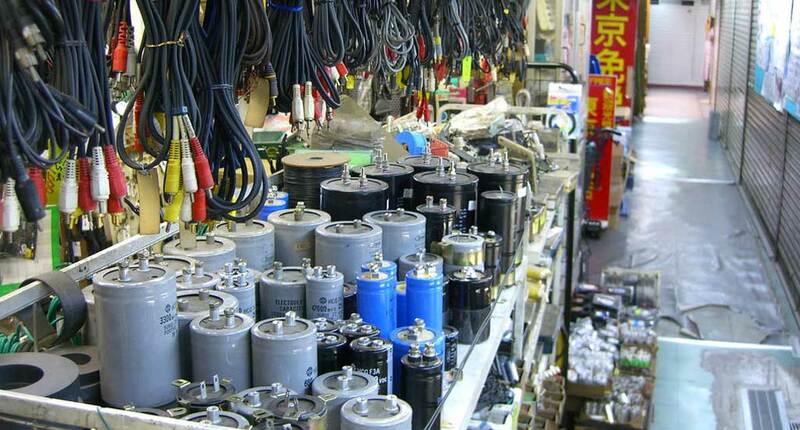 Batteries have the advantage that they discharge slowly, with a constant voltage. When a battery is drained, there is a sharp decline in voltage. In a capacitor, the discharge is rapid, with the voltage declining linearly. Conventional capacitors also have a limited storage. Comparing a 1.5 V AAA battery to a 1.5V 4700 uF capacitor (both having similar sizes), the battery can hold a potential of 5000 J, whereas the capacitor can only maintain 0.005 J, a million fold difference. However, the current output of the battery is limited to 10 A over its lifetime while the capacitor can discharge at 60 A in under a second. Supercapacitors or ultracapacitors do not have a conventional dielectric seen in common capacitors. Plates of similar materials are layered, giving a large surface area to hold a higher level of capacitance. The materials of choice are graphite sheets of carbon that store a charge between the electric double layers (known also as electric double-layer capacitor, EDLC). Graphene is one of the eight physical forms in which the element carbon can exist. Carbon can be found as diamonds, graphite, fullerenes and nanotubes, among other allotropes. Each form has different physical and electronic properties. Diamonds are strong, rigid, and great thermal conductors, but are electronic insulators. Graphite, on the other hand, is soft, malleable, and an excellent conductor of electricity. At the molecular level, graphite is a flat sheet of carbon arranged in an infinite hexagonal grid, a bit like chicken wire. This sheet of carbon is only 1 atom thick and can hold a tremendous amount of charge per unit of surface area. Supercapacitors have been commercialized. Companies like ZapGoCharger, Angstrom Materials, Skeleton Technology, and Sunvault Energy have developed are focusing on a myriad of energy solutions for various products. Items like cordless power tools, mobile electronics, facilities energy backups, and personal transport. The Zap&Go charger promises fast and convenient charging of electronics contained in a hand held unit. The device is fully charged 5 minutes after being plugged in and can be used to charge smart phones and tablets via USB connections. Capacitors (in electronic circuitry) discharge their energy quickly, with high amperage, but your devices are protected. The electronics that are plugged into the Zap&Go will still charge at the same rate as because they use Li-ion batteries; with the increase resistance, the amperage is decreased (Ohm’s Law). However, up to 3 devices can be charge off the unit at once. With graphene supercapacitors, we are now able to store an equivalent amount of power held by Li-ion batteries. But researchers at UCLA are now looking towards miniaturized supercapacitors towards advanced nanotechnology. These supercapacitors borrow technology from conventional batteries, namely an electrolyte. Mentioned above, conventional batteries have a caustic slurry that suspends Li-ions; in micro supercapacitors, a benign electrolyte can be used. Also with laser etching, construction can be made with great precision, and even arrays of micro supercapacitors can be made. Whether powering portable electronics or used in nanotechnology, graphene-based supercapacitors are and expanding innovation to watch out for.